Rolls-Royce to supply safety-critical instrumentation and control systems to Chinese nuclear reactors. The UK-based firm, better known for its aero engines, is to supply safety instrumentation and control technology to the Ling Ao nuclear plant in Daya Bay, Guangdong Province, China. Ling Ao, which is owned and operated the by China Guangdong Nuclear Power Corporation, is a relatively new nuclear plant. The first two of its Areva-supplied reactors were switched on in 2002 and 2003 and units three or four in the last two years. 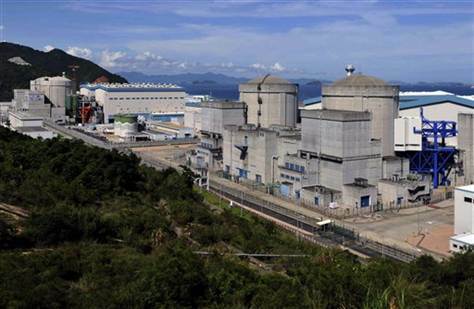 The plant, which has a capacity of almost 4000MW, is close to the Daya Bay Nuclear Plant, which supplies about a quarter of nearby Hong Kong’s electricity. Rolls-Royce will upgrade the original analogue instrumentation and controls within the first two reactor units with its digital “Spinline” product. The company is a major player in the burgeoning Chinese nuclear market, with instrumentation and control systems present in up to 70% of China’s civil nuclear reactors in operation or under construction, the company says.